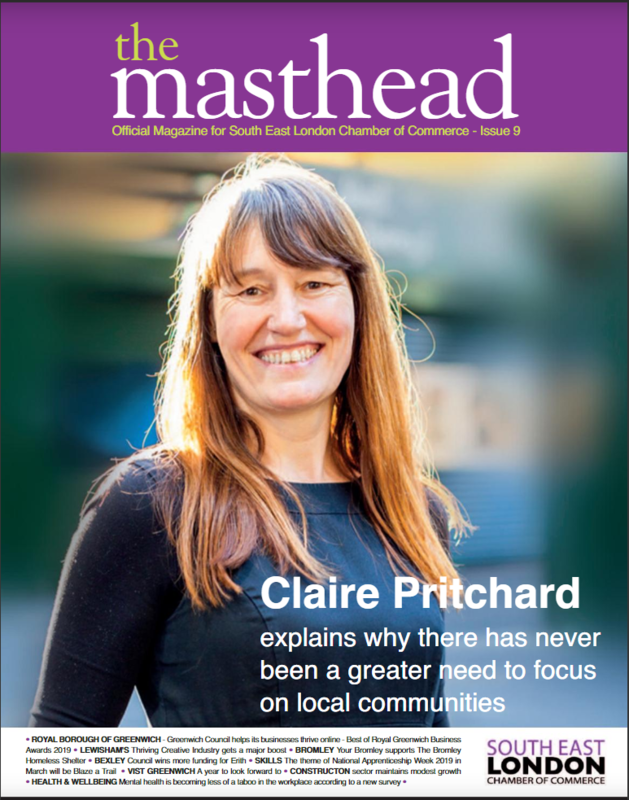 The Masthead is the South East London Chamber of Commerce’s quarterly business magazine, produced by Benham Publishing. It is distributed for free to Chamber members and partners. The Masthead features local business news and topical business subjects. Also featured are updates and stories from our membership. Previous interviewees for The Masthead include: Tony Pidgley (Chairman, Berkeley Group), Professor Linda Drew (Director & Chief Executive, Ravensbourne University), Richard Upton (Deputy Chief Executive, U + I PLC) and Jude Law. For the archive of sister e-publication Masthead Light, please click here.